He stressed that Tehran will take “retaliatory actions” if Washington prevents Iranians from entering the US while calling for the need to hold talks and show “leniency based on national interests” rather than using force and arms. His comments came a day after U.S. Vice President Mike Pence warned that “Iran would do well not to test the resolve of this new president.” He urged Tehran to “think twice about their continued hostile and belligerent actions.” He reiterated President Trump’s stance that “everything’s on the table” and Iran is also “on notice” after its missile test last week. In a defiant message to the U.S., Mojtaba Zonour, a member of Iran’s National Security and Foreign Policy Commission, has boasted that Tehran has the military capability to hit US bases in the Middle East. According to the former Islamic Revolution Guards Corps official, Iran has the potential to “raze to the ground” a U.S. military base in Bahrain and also needs “only seven minutes… to hit Tel Aviv” with missiles. Zonour warned “the enemy” against making a mistake. 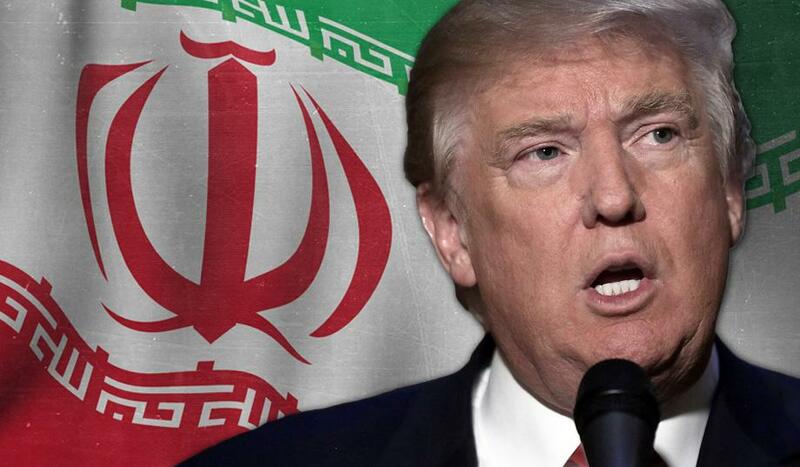 The latest remarks intensify the war of words between the two countries especially with the arrival of the Trump administration at the end of last month. Written by: Jaber Ali on February 6, 2017. Posted by Jaber Ali on Feb 6 2017. Filed under Headlines, World News. You can follow any responses to this entry through the RSS 2.0. Both comments and pings are currently closed.